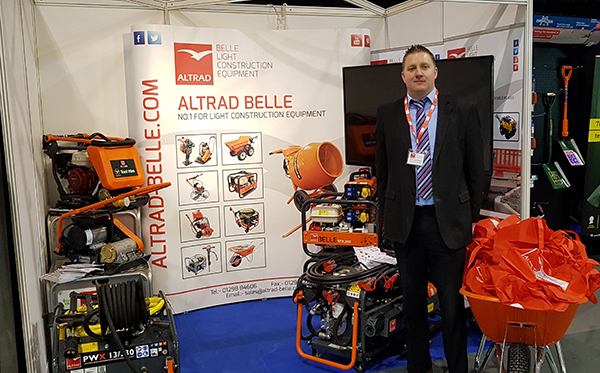 Altrad Belle are one of 130 key suppliers exhibiting at the Travis Perkins 2019 Conference Week at the International Centre in Telford. With in excess of 1500 personel from across all sectors of the Travis Perkins business coming through the doors of the centre this week, exhibitors are sure of being well engaged. Pictured is Colin Andrews Regional Sales Manager.